As companies work to restore consumer trust and build better relationships with customers, they must think and communicate differently. They must gain a better understanding of customers’ needs, wants and concerns by continually gathering, analyzing and acting on customer feedback. This ensures that customer needs are incorporated into the design of customer experiences and in the company’s products and services. 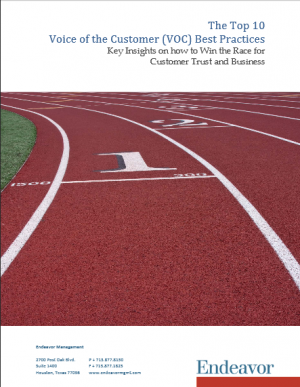 This paper features key insights on how to win the race for customer trust and business.